We share tips with you here to make making your printables as enjoyable as the celebration you are making them for. Your printables may be printed on copy paper, card stock, photo paper, art paper, or resume paper. We prefer the professional quality printing you achieve by printing most of the printables on 110 lb white card stock, but cream papers look so pretty with many of our designs as well, especially if you want to achieve a vintage look. You may easily find card stock in the paper aisle of office supply stores, art supply stores, Walmart, Target, and online. Amazon sells card stock online for two to three times as expensive as in stores, but if you want the convenience of doorstop delivery you may order it here: card stock . Print envelopes and straw flags on regular white copy paper. We use our drink labels on bottles that are room temperature for our own celebrations. But, if you will be having your drinks in a cooler with ice, print your drink labels at a copy shop instead of on your home printer. Home ink jet printers are not waterproof. Print your bottle labels, or anything else that may get wet, at Staples, or your local printer. They print with laser ink. Laser ink is waterproof. Laser printers work by fusing toner to paper using heat. The printed results of lasers are smudge–proof and waterproof. Print on card stock (heavier weight paper). Secure your water bottle labels with hot glue. 1. Please quit out of the program you are using. Place the files you were working on in the trash. 2. Download fresh printable downloads from your link on your receipt to be sure you have not corrupted your printables when opening in another program. 4. Open your printable from the top of your screen where it says "file", then "open", then find your file you have dragged or saved to your desktop. ****You will know if you are in Adobe Reader by looking at the top of your window. You will see an icon at the top of your window that looks like a white page with a red A symbol on it. Check to be sure that is there. If the symbol is not there it means you clicked on your file and your computer opened your printables in the default PDF reader program your computer is set to read PDFs in (if you do not see the "A" Adobe logo, quit out of the program your computer has opened them in and be sure to follow step 1 and 2). 5. Click and type (if the printables you selected are customizable). To change your font, font size, or font color: Select your text. Then, press CTRL + E (on PCs) or command + E (on Macs). The FORM FIELD TEXT PROPERTIES box will appear. Here you may change your type size, color, or font. Your changes will update and appear when you click outside of the text box. Remember to set your printer settings to finest quality for best printing results. All printables are formatted to print on standard letter size 8 1/2 x 11" paper or card stock at 100% scale. Countries using metric may print on A4. Set your printer settings to 50%, or any other scale smaller than 100%, to make mini banners, mini pinwheels, or other mini printables with items from our shop too! Making our pinwheel printables? Find our illustrated pinwheel tutorial here. We have a simple trick for cutting out large quantities of printables. Line up a stack of printables carefully (all of one type). Your stack should be as thick as your scissors can neatly cut through. I usually do 5-10 papers at a time. Staple the paper stack once on each corner. The stapled corners will keep the stack from slipping as you are snipping. A craft knife guided with a metal straight edge ruler, works well to cut straight edges on the outsides of our printables. However, scissors work well if you do not have a craft knife. You may use a craft knife on a cutting mat to cut slits on our chevron straw toppers. Slip your straws through the slits. Only our chevron toppers are designed with the slit style. For our wrap-around customizable straw toppers, follow these suggestions for assembling: 1. If printing at home, print on copy paper or paper of a similar weight. If printing at a copy shop, print on standard weight paper your shop uses for laser printing. Copy shop color laser prints will be waterproof. 2. Cut your flags out. A paper cutter or a craft knife and straight edge to use as a cutting guide will make the cutting process go extra quickly, but a scissors will work as well. 3. Protect your work surface with a piece of paper (you can use copy paper and change it as it becomes sticky with glue stick. 4. Your flags are 7" long, but will be 3.5" long when wrapped around your straw. To secure your flag to your straw, select one flag you have cut. Swipe the back of this flag with glue stick (use a fresh stick for a smooth surface if an older stick your are using leaves clumps). 5. While your flag is still on your work surface (glue side up), place a straw on top, in the middle of the flag. Pull each side of your flags up until the ends meet. Press the insides of the flags together, working towards the straw and around the straw. Your straw flags are now secured to your straw with your chosen color visible from the front and back. Perfect! Straw flag assembly goes quickly...Cut, glue swipe, wrap, press. The circles on our banner customization sets can be cut out with a scissors or a 2 1/4" (2.25") circle cutter. If you want to use a 2" cutter for your customization letters, you can print with your printer settings set at 90%. When making your banner printables, use ribbon or cord that is slightly larger than your punched holes to keep the flags in place—or, use tape on the back of your banners to keep banners from sliding if you want to use a thinner ribbon or string than your punched holes. Sweet idea: Our banners and customization sets may also be printed at a smaller scale, by adjusting your printer settings, to create a mini banner for a high chair at first birthday parties and for other creative uses for mini banners. Another unique idea? Use three dimensional adhesive dots (you will find this in the scrapbook section of your local craft store) with your banner customization letters to make them stand out from your banner. Wondering what kind of adhesive to use to attach your customization letters to your banners? When printing my banners and banner customization sets on card stock, I like to use a small amount of hot glue gun or craft glue. Craft glue is thicker than school glue; so, it will not ripple the paper. For regular copy paper, a good quality glue stick works well. Want tips for using your cupcake wrapper printables? We bake our cupcakes in foil cupcake liners, allowing our treats to cool before inserting them into our assembled cupcake wrapper printables. Cupcake wrappers work especially well printed on card stock. Once I have inserted the cupcake wrapper tab into the slit, I place a small piece of tape on the inside of the wrapper to hold it in place. Gluestick on the tab works too. You may not need to secure it at all if you are using thicker paper, like cardstock. Are you making many printables for a wedding or birthday celebration with many guests? 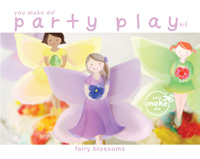 Gather a group of friends beforehand, and have a mini printable making party. You will have help making your many printable creations, and a good time at the same time. We print all of our own printables for our parties here at home on our own inexpensive ink jet printer and we love how they come out. You may print your printables at home as well, or you may have your printables printed for you at your favorite local printer or copy shop. If you have your printables printed at a printer or copy shop, instruct the printer not to print the cover page of your printables. You will not need this printed to create your printables, unless you have received a cover page with instructions and would like this printed out. A Printer Release note (printer permission) is included on your receipt if your printer or copy shop requests one. If the printer states they can not print your printables because your designs are copyrighted, please show them this Printer Release (printer permission) note on your receipt. If you are printing customizable printables from our main shop, please use the first link that you receive on your receipt stating, "Click here to download". 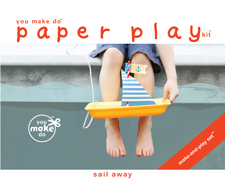 This link will open your file in Acrobat Reader so you may customize your printables. Printables not indicated as customizable are not editable. You may choose to select any additional printables you need from our shop if you find other items you need. Because there are no shipping charges, of course, you may make as many separate small orders as you need. I have put much thought into making your printables especially for you. Please cherish the time and design I have placed into my original creations; and do not share, resell, or distribute these copyrighted printables or products made from them. But, please enjoy them; and, take many photographs of your celebration and all of the creative thought and making you put into your own hand-created, one-of-a-kind celebration! If you have been inspired by what we make here, please subscribe to remember to visit what we share again.